Tiny organoids enable personalized disease diagnosis, regenerative therapies. Scientists at the Cincinnati Children’s Center for Stem Cell and Organoid Medicine (CuSTOM) are working to create the entire human gastrointestinal system in a laboratory now report using pluripotent stem cells to grow human esophageal organoids. This study could offer new ways to study birth defects and diseases that affect millions of people with gastrointestinal disorders, such as gastric reflux, cancer, etc. 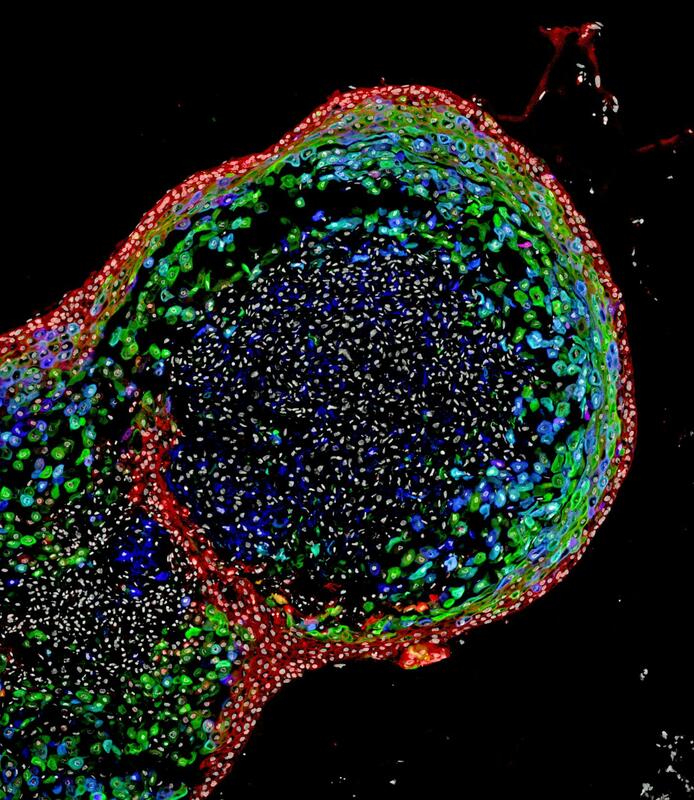 This is for the first time, scientists have possessed the capacity to develop human esophageal tissue altogether from pluripotent stem cells (PSCs), which can shape any tissue compose in the body. The scientists based their new method for using human PSCs to general esophageal organoids on precisely timed, step-by-step manipulations of genetic and biochemical signals that pattern and form embryonic endoderm and foregut tissues. They focused in part on the gene Sox2 and its associated protein–which are already known to trigger esophageal conditions when their function is disrupted. –The scientists used mice, frogs, and human tissue cultures to identify other genes and molecular pathways regulated by Sox2 during esophagus formation. Amid critical phases of embryonic improvement, the Sox2 gene obstructs the programming and activity of genetic pathways that direct cells to become respiratory rather than esophageal. Specifically, the Sox2 protein restrains the signaling of a molecule called Wnt and advances the development and survival of esophageal tissues. In another test to help confirm the significance of Sox2 expression on an esophageal formation, scientists examined the total loss of Sox2 amid the development procedure in mice. The absence of Sox2 brought about esophageal agenesis- – a condition in which the throat ends in a pouch and does not associate with the stomach. After effectively creating fully formed human esophageal organoids- – which developed to a length of around 300-800 micrometers in around two months- – the bioengineered tissues were contrasted biochemically with esophageal tissues from quiet biopsies. Those tests demonstrated the bioengineered and biopsies tissues were strikingly comparable in composition. The study is published in the journal Cell Stem Cell.